Maybe you’ve been meaning to wipe your Instagram in Pete Davidson or Kelly Marie Tran fashion. Whatever statement you’re trying to make with your clean social media slate, JetBlue wants to be a part of it. 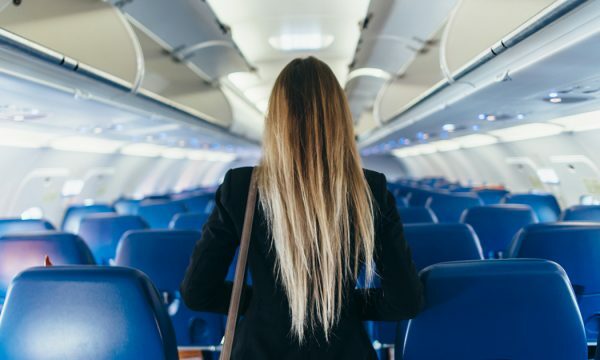 The airline is giving away free flights for a year to someone who deletes or archives all of their Instagram posts and posts one eligible photo for their “All You Can Jet” Sweepstakes. From all the entries, JetBlue will draw three winners at random for the grand prize: unlimited air travel for one year on JetBlue for you and a designated travel companion. Delete or archive all of the posts on your Instagram account. Create the post that will enter you in the contest by uploading a picture to the sweepstakes website and generating the photo entry. Download the photo and post it to your blank Instagram account by tagging the @JetBlue handle and using the hashtag #ALLYOUCANJETSWEEPSTAKES. The deadline to enter the contest is 9 a.m. Eastern on March 8, 2019. To be eligible to win the year of free flights, your Instagram must be blank, with the exception of your sweepstakes entry photo, until 11:59 p.m. Eastern on March 8, 2019. You can only enter the contest once. Other terms and conditions apply. JetBlue insists that a blank Instagram is necessary to enter the contest. “It's true, we want you to start with a blank slate. But think of all the pics you'll have to post if you win!” the airline tweeted. With free travel for a year, winners could be posting pictures from JetBlue’s more than 90 destinations. The lucky passengers could indulge in the excess of Las Vegas or explore the mountains near Burlington, Vermont. JetBlue serves most major U.S. metro areas, from Seattle to South Florida, so there are plenty of possibilities. JetBlue also flies to dozens of destinations in the Caribbean, Central America and northern South America. To get those make-everyone-jealous-with-your-beach-vacation pictures, the winner can escape to places like Bermuda, Costa Rica, Puerto Rico or St. Lucia. Even if you don’t win the All You Can Jet Sweepstakes, you can earn free flights on JetBlue by racking up miles as part of their JetBlue TrueBlue Rewards Program. Members earn 3 points per $1 spent on JetBlue flights, plus bonus points based on what type of fare you bought. You can also boost your earning power by getting a JetBlue-branded credit card, by trading in your Chase Ultimate Rewards points for JetBlue miles at a 1:1 value, or by pooling miles with your family and friends. JetBlue also offers free Wi-Fi on every flight in the contiguous U.S.